Description: Wiring diagram change to Figure 9.19B – Cessna ARC 300A when replacing a G502A or G504A DG. EFD1000 installation manual A-01-126-00 REV D Figure 9.19B is missing an offset…. Aspen Avionics released a tech note today regarding their Evolution MFD line with the following topics: 1. EFIS MASTER switch from Optional to Highly Recommended An “EFIS MASTER” switch or…. Garmin released Service Alert 071016-00 today titled “SANDEL SN3308 WHEN COUPLED WITH A GARMIN 400W/500W NAVIGATION SYSTEM” which deals with an issue in the auto slew function of the course…. Safe-Flight Instrument Corp. Nigel S.A. Craig, Manager, Technical Services, Safe Flight Instrument Corporation Phone: (914) 220-1137, came through for me today with a copy of the installation manual for the…. 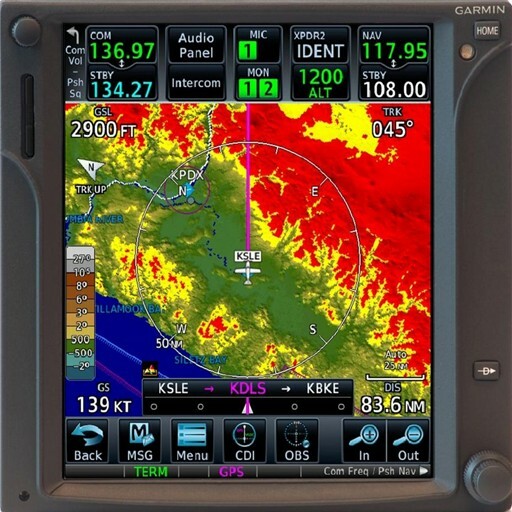 Sandel Avionics released SIL 4500-2 Rev B to enable autopilot approach coupling during a GPS approach with vertical guidance from a Garmin GNS 400W/500W series receiver. See Sandel Avionics website for more….